Red Light? Blue Light? Sometimes you want BOTH! 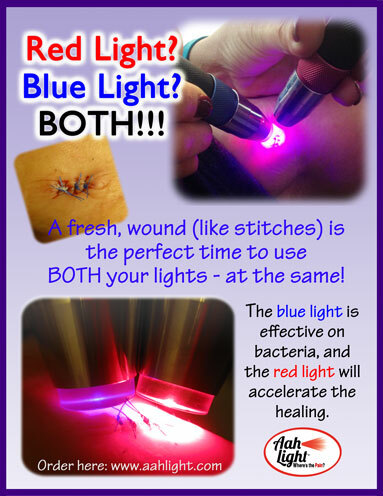 Did you know that you can use your AAH Blue Light to ward off bacteria? One of our favorite times to use it is when there is an open wound and a chance of infection. Here we have fresh stitches so both the red and blue lights are being used together. A couple minutes twice a day is all that is needed. « Announcing the AAH Light Upgrade Program!